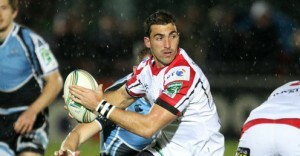 Ruan Pienaar is expected to miss first two Ulster games in European Rugby. ULSTER’S first game in the new European Rugby Champions Cup will be against Leicester Tigers at Welford Road on Saturday 18th October (kick off 19:45). Match tickets are available to purchase (online only) until Friday 19th September at 10am. The Ulster men will then take on reigning European Champions Toulon at Kingspan Stadium (Ravenhill) on 25th October at 1 pm. A very limited number of returned tickets are currently on sale online only. Ruan Pienaar is expected to miss both games with a knee ligament injury he sustained at the weekend with South Africa.